Get quality digital or fine grain imagery to complete your projects in Hawaii. Hawaiian photography and videography services mean more from the sky, together with aerial surveys by helicopter that deliver world-class solutions for less. From aerial photography to aerial videography to aerial surveying, for the delivery of a quality result every time. A combination of laser technologies and world-class cameras deliver the results you need, whenever the service proves valuable. The industry’s top technologies deliver streamlined footage and surveys alike, leveraging the vertical aspect to further expedite your ventures. Combine helicopter prowess and your aspirations to improve immediate output. Welcome to The Aloha State, ideal not only for the extent of your photography and videography needs, but also for flying conditions. Given the coastal climate that characterizes Hawaii, you’re gifted with long periods of optimal weather year in and year out. Obviously, if you’re looking for the perfect shot in Hawaii you’ve come to the right place. Local attractions like Volcanoes National Park and Diamond Head make for sensational sights, and can easily be captured by helicopter photography or videography procedures. Aerial surveys can be completed above identifiable Hawaiian landscapes, any time of day. With so many types of distinct topography in a single state, everything from mountainous regions to flat zones, there’s a great need for optimized helicopter aerial surveys. Rest assured that professional helicopter providers have Hawaii covered, with dependable survey services you can employ with confidence. No matter your footage acquisition needs, or your requirements with regard to sustainable aerial surveys, there’s a flight package that promises to satisfy both your budget and your individual interests. Through FairLifts, professional helicopter networks provide ideal operations, aircraft and hardware to complete any project according to your specifications. 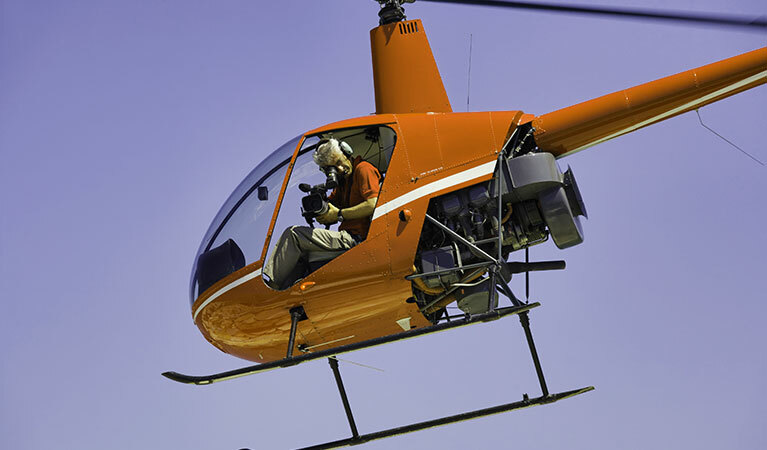 Satisfy the complete extent of your aerial photography and videography needs, when you put a helicopter on the job. Get the pr fact shot thanks to World-class photo and video acquisition equipment, together with the expertise of the industry’s best helicopter pilots who understand the situation. It’s easier than ever to survey an expense or Hawaiian landscapes, with a helicopter capable of hovering above all of the traditionally difficult-to-reach locations. Complete both geographical mapping and aerial surveys in a fraction of the normal time, with the prowess that a helicopter alone can contribute. Take law enforcement to the next level, adding an aerial element to your security measures. Now it’s simple to hit the skies whenever it comes time to minimize a threat, survey a location, or gather sensitive or timely information. Law enforcement stands to gain from a helicopter in the force. Take measurements on local wildlife populations in Hawaii, wit a streamlined process that you can achieve exclusively from the skies. Aerial census and mapping techniques, thanks to state-of-the-art helicopter technologies, can help you to easily keep tabs on thriving and declining animal populations alike. Don’t wait another second before electing to take advantage of industry-leading photography, videography and aerial survey services by helicopter in Hawaii. Get in touch with a customer service representative today, or simply fill out an online customer contact form, for an effective answer within 24 hours.